Red, Greena nd Yellow multicolor Check design . 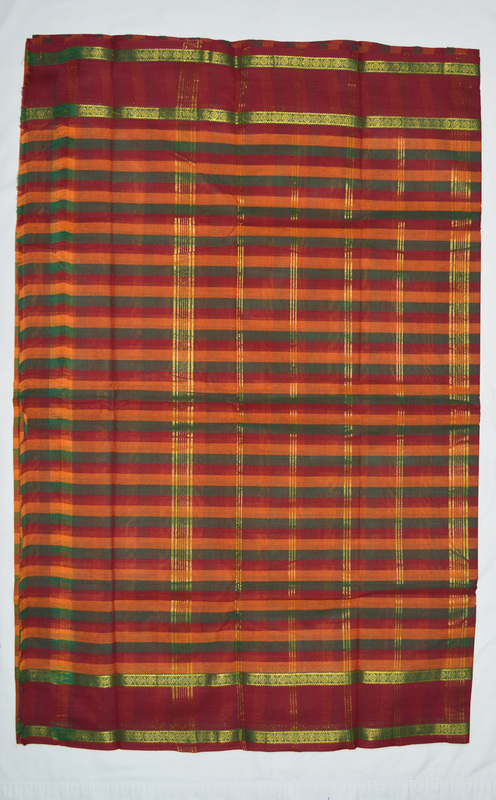 Handloom cotton Saree . Woven for dance practice. This has Pallu both the sides. 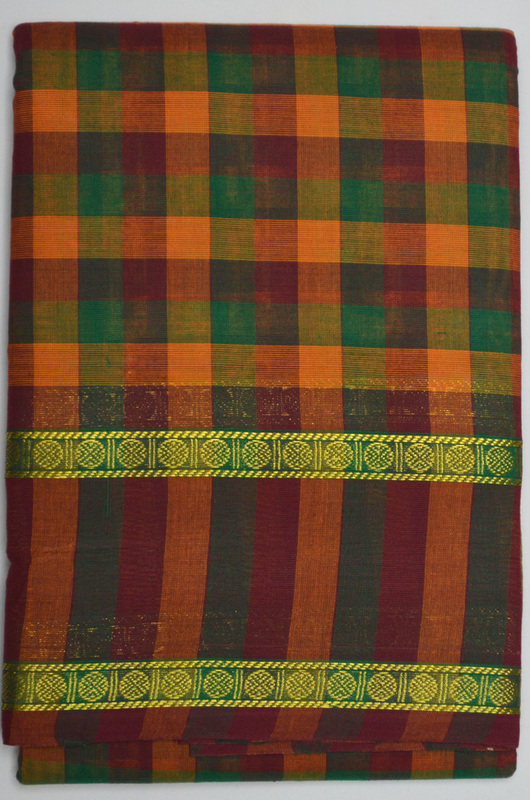 It is 6 yards long and 36" wide and does not have blouse piece.